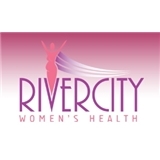 Rivercity Womens Health (San Antonio) - Book Appointment Online! RiverCity Women’s Health is a comprehensive obstetrics and gynecological clinic focusing on the diagnosis and treatment of all aspects of women’s healthcare from pregnancy to complex gynecological services. We offer our patients a highly trained and licensed staff with experience in Obstetrics and Gynecology. Our practice is based in San Antonio, Texas in a newly constructed clinic in the Northwest side of town. We offer our patients on-site diagnostic equipment without the need of additional costly physician visits to quickly gather important clinical data to help better treat our patients. Locally we serve Christus Santa Rosa Northwest, St Lukes Baptist, and Southwest Methodist hospitals in addition to our clinic outpatients. This was my first visit with Dr Ogogor. She is so nice and so was her staff. She spent time to talk with me before and after exam and I appreciated that.